Last week, I posted a photo of this bread on my Instagram asking if I should blog about this bread. I have to admit, I was hesitant because this recipe uses a shortcut – a store bought Italian bread. As you may know, I love to bake breads from scratch. However, I am still working on my Italian bread from scratch, hence the store-bought. And then my photo on Instagram got so much love and questions about the recipe – so here it is! 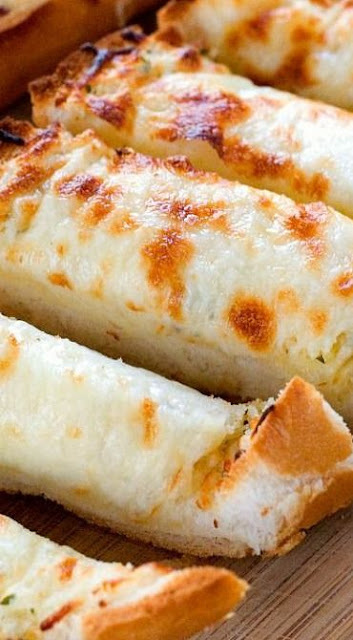 My Easy Cheesy Garlic Bread.